8th Mar 2019 8th Mar 2019 sunbirdjournalLeave a Comment on Grey Areas 4th Edition is finally available! Download here! Grey Areas 4th Edition is finally available! Download here! 27th Jan 2019 27th Jan 2019 sunbirdjournalLeave a Comment on New look for our 3rd edition! New look for our 3rd edition! 23rd Dec 2018 23rd Dec 2018 sunbirdjournalLeave a Comment on We celebrate our first 3 issues!!! Yay! We celebrate our first 3 issues!!! Yay! 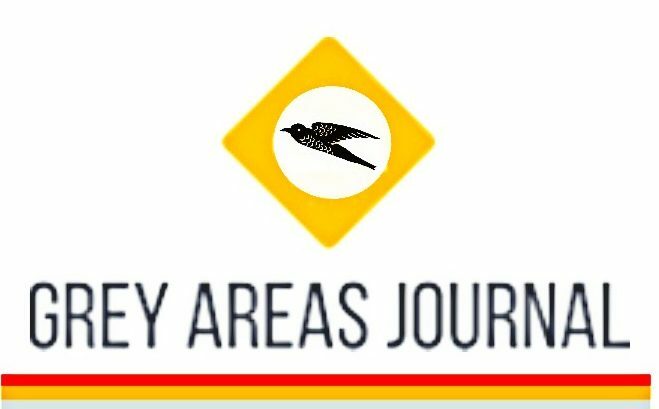 24th Nov 2018 27th Jan 2019 sunbirdjournalLeave a Comment on Download Grey Areas Journal 3rd Edition! Download Grey Areas Journal 3rd Edition! 22nd Nov 2018 sunbirdjournalLeave a Comment on Meet our 3rd Edition Contributors! Meet our 3rd Edition Contributors!